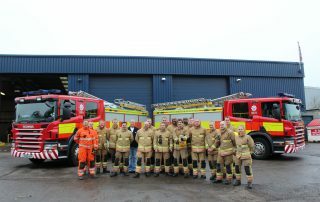 On Sunday 20th November, a crew of 21 from Hereford & Worcester Fire and Rescue Service executed “Exercise Kelly” at Keltruck’s Droitwich location. The training challenge to release a trapped dummy trapped and being crushed beneath an articulated trailer. 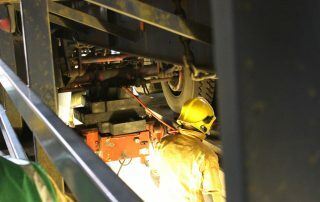 The crew had to act as if it was genuine accident involving first aiders, safety parole officers, crew from USAR (experts of emergency service’s lifting equipment) and officers to utilise the safety equipment on board the fire engines to encourage the speed and safety of the rescue. The exercise gave the crew a number of hurdles to overcome, necessitating the need for a close team interaction and to tackle the new workshop environment obstructions coming up with logical ways to utilise them to their advantage. 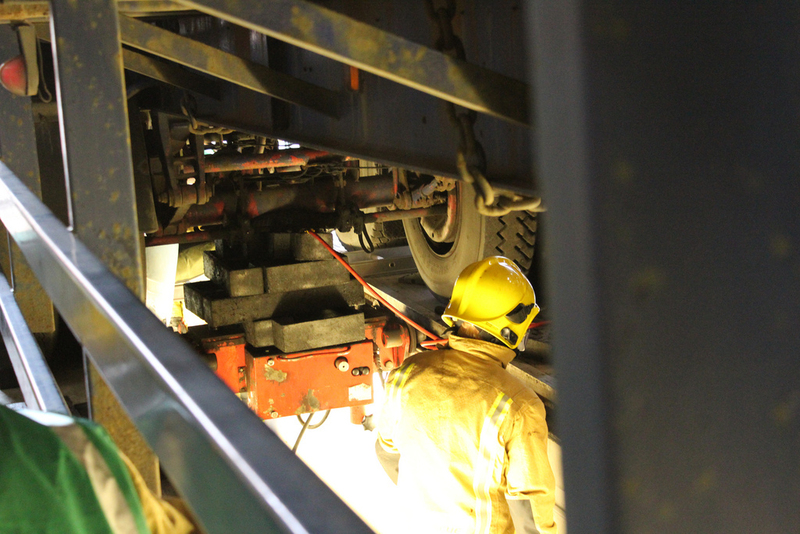 One of the greatest challenges faced was the open pit, which meant officers had to construct a secure fort, using reconstituted rubber blocks beneath the truck’s axle to enable them to use 20 tonne airbags to free the trapped casualty. This tactic was the crew’s “Plan A” with “Plan B” to have moved the truck and trailer forward, rolling off the casualty. These 2 plans were assessed and agreed within 5 minutes of the crew starting the exercise or ‘arriving at the scene of the accident’, if it were a genuine situation. Once the challenge had concluded, the crew was debriefed by Dan Quinn, Station Commander of Droitwich Fire Station, to discuss the key challenges that they confronted and how they propose to address the situation in real life. 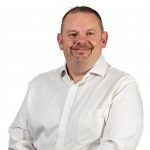 The crew agreed that the training session was incredibly helpful and educational for them and felt confident with their new wealth of knowledge. 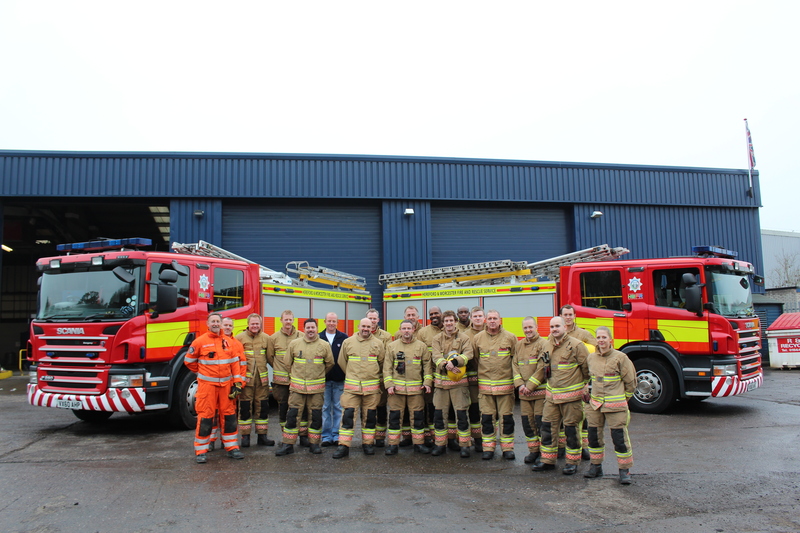 The morning was concluded with Robert Beck, Keltruck Parts Advisor, giving the crew a guided and in depth tour of the workshop whilst demonstrating Keltruck’s equipment, showing the uses and benefits that could assist the emergency services if ever necessary in the event of an accident.